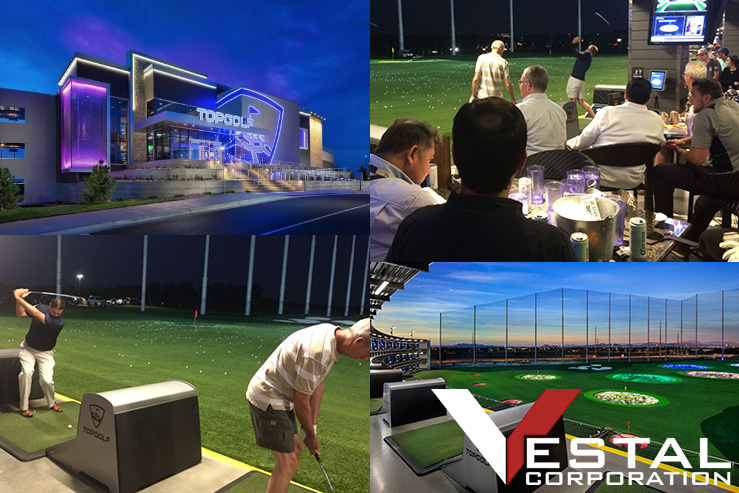 Vestal Corporation and Constellation Brands team members enjoyed a fun filled evening at TopGolf; St. Louis’ newest attraction. It did not take very long to realize that we were all better designers and builders than golfers. Despite our lack of golf skills a great time was had by all enjoying the great outdoor space TopGolf provides and the taste of refreshing Modelo and Corona Premier beers.